The perfect protein, eggs are cheap, filling and easy to make. All you need is a little salt and pepper, and voila — you’ve got a tasty, nutritious breakfast ready in minutes! Want to take your morning meal to the next level? 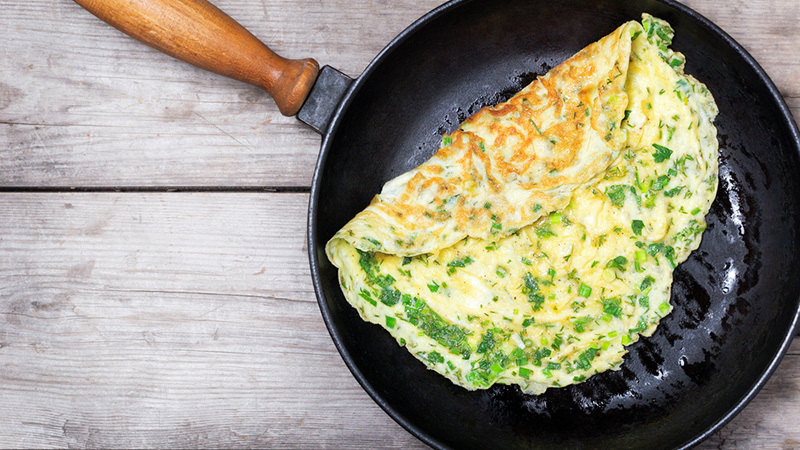 Try these 10 healthy and delicious omelette ideas on for size. 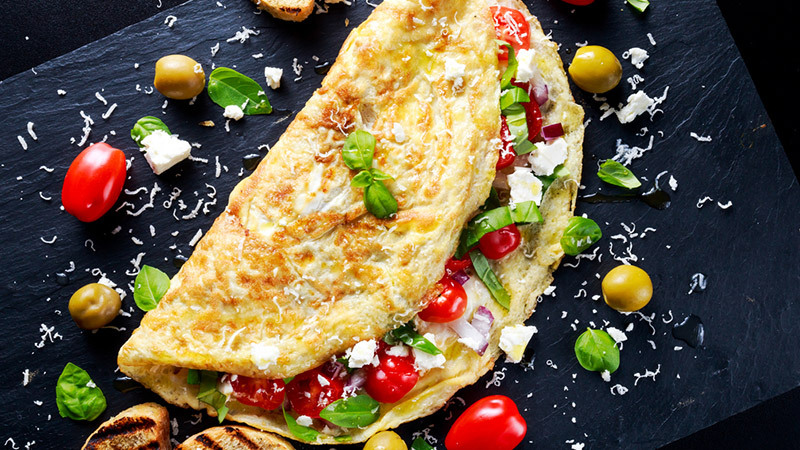 Opt for plenty of spinach and grape tomatoes, then add an ounce of delicious feta cheese for an omelette that’s bursting with Mediterranean flavour. The feta is so tangy, that you only need a little bit to make your tastebuds sing. Get the recipe. This recipe is adaptable to whatever herbs you happen to have growing in your garden or sitting in your spice cabinet. Parsley, chives, rosemary, tarragon, dill — the possibilities are endless. Whisk in an once of part-skim ricotta cheese (39 calories) for extra creaminess. Get the recipe. At 110 calories an ounce, you’ll want to use this tasty Italian bacon sparingly, but the good thing is you really don’t need a lot to bring out its smoky, delicious flavour. Sautee the pancetta, then use fresh greens, leeks, onions or whatever other vegetables you have on hand for a filling meal. Get the recipe. 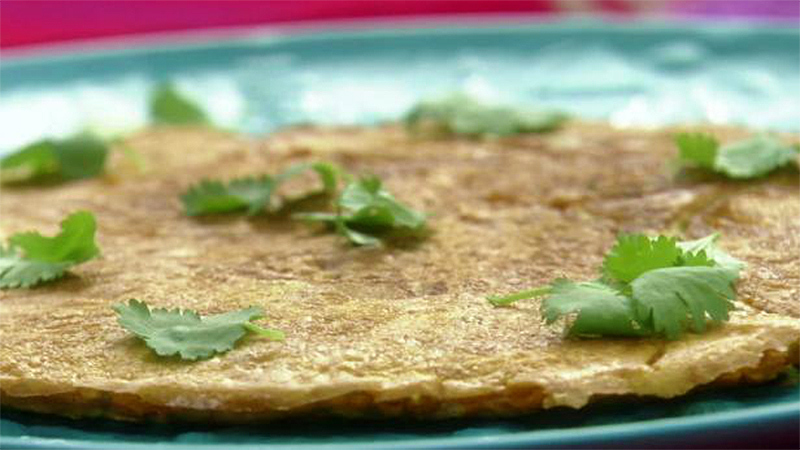 Want a spicy, cheesy omelette with a bit of a kick to it? 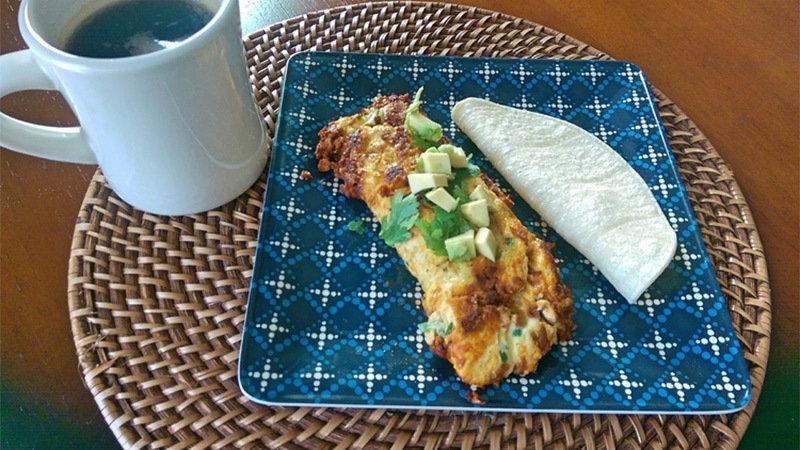 Whip up a Mexican-inspired omelette with shredded monterey jack for a breakfast that will have you saying, “que bueno!” Top with salsa and avocado or guacamole for a fresh, zesty breakfast. Get the recipe. Chorizo is a delicious, spicy sausage, but it’s heavy on calories and fat. Try a soy substitute get the kick without the added calories. Soyrizo can be found at health food stores and other locations, or you can even make your own at home. Get the recipe. 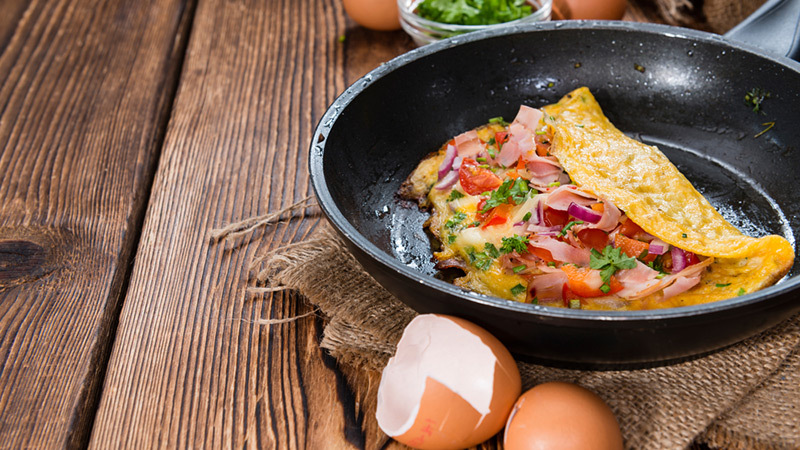 With nutritious spices like cilantro, turmeric and paprika along with a Serrano chile and red onion, you’ll feel satisfied— not stuffed — with this super-slim Indian-inspired omelette. Get the recipe. Eggs are a healthy choice for almost everyone, but if you’ve been told to limit your egg intake, opt for egg whites and skip the yolks. To add bulk and flavor, sauté tomatoes in garlic and a dash olive oil before adding the whites to the pan, and throw in some fresh basil as well. Get the recipe. 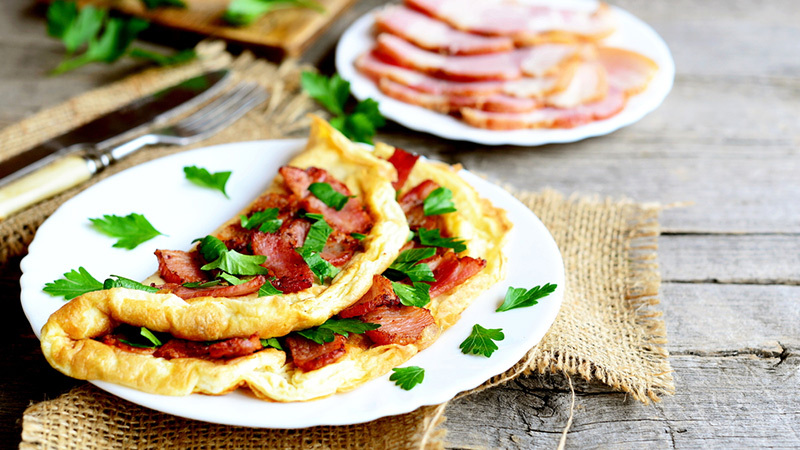 Traditionally, there’s enough cheese and ham in a Western omelette to feed a small army! Amp up the portion of peppers and onions and only sprinkle in a few tablespoons of ham and cheese to keep this omelette on the healthier side. Serve with a fruit salad instead of hash browns for a breakfast that won’t break your diet. Get the recipe. 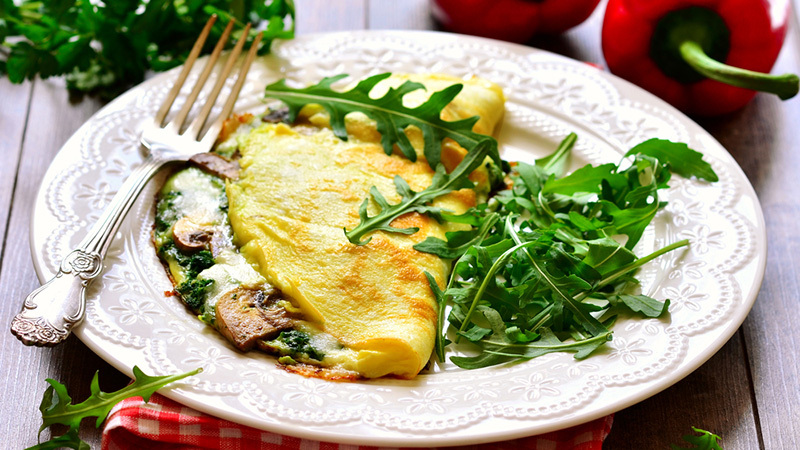 Versatile and quick to cook, mushrooms make for a perfect omelette stuffer. Try shitake, porcini, oyster, morel or a combination of any that you find in your market. A small pat of butter is all you need, because the earthy taste of these mushrooms will give you plenty of flavour. 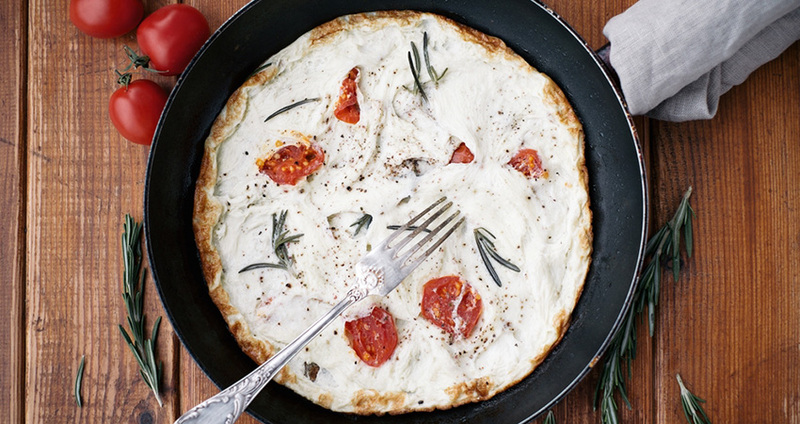 Add ricotta or a bit of goat cheese to make this omelette really stand out. Get the recipe. Who says you can’t have breakfast for dinner? 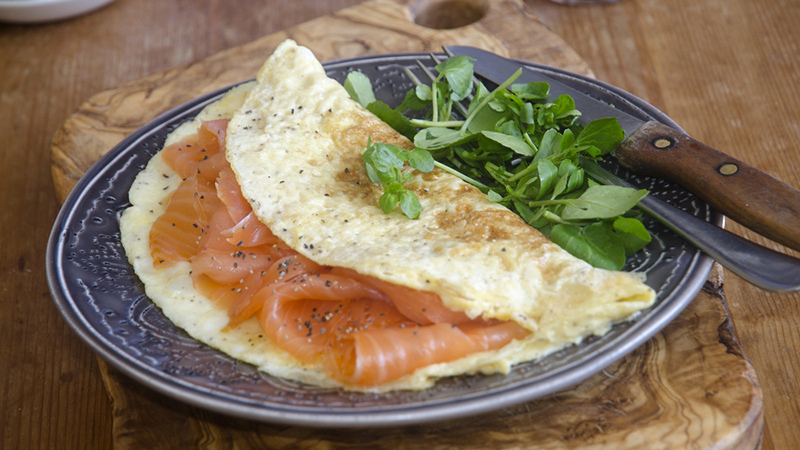 Try this creamy, tasty variation on an omelette. Whisk your eggs with cream cheese (49 calories per tablespoon) and add in a bit smoked salmon (33 calories an ounce) along with fresh dill. Serve with a green salad and a glass of crisp white wine for a perfect summertime meal. Get the recipe. 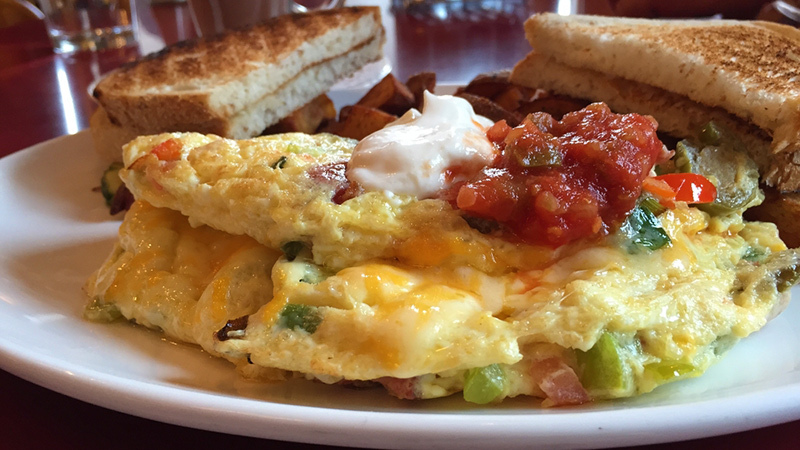 As you can imagine, there are hundreds of different omelette possibilities out there, and these are just a few. Almost every vegetable under the sun goes well with eggs (we haven’t even discussed broccoli, squash, kale and so many more wonderful veggies! ), so the next time you don’t know what to make breakfast, throw your leftovers into a pan with some eggs and experiment with new spices and flavours. Remember: You are the master of your own omelette destiny!